This course teaches you how to approach writing a new script in a methodical way. A realistic case study is used to illustrate the typical steps. A separate case study is developed in the course exercises. A storyboard showing the results from the script, the JMP objects that will be used by the script, and the steps necessary for the script to carry out is developed at the beginning of the course, and it is further developed throughout the course. The results are used to determine the necessary data, so the next step is identifying the analysis variables and their original data stores. Techniques to import or query for data, cleanse and harmonize data, and derive new variables complete the first half of the course. The second half of the course teaches how to script the conversion of the variables into results. JMP objects are used to create a working framework. Each object is then customized or extended as necessary. Optional results or computations are captured in a user dialog to finish the script. customize objects for final results. 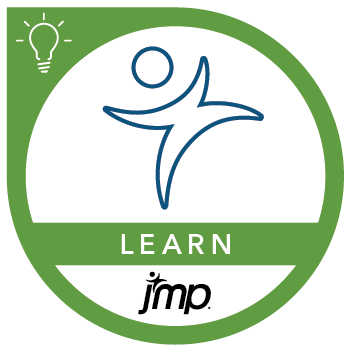 Before attending this course, you should complete the JMP® Software: Introduction to the JMP® Scripting Language course or have equivalent experience.